In 2000, three engineers, Antonio Mugica, Alfredo José Anzola and Roger Piñate founded Smartmatic in the United States. That year, the company was incorporated in Delaware and opened its headquarters in Florida. In 2002, only 2 years after Smartmatic’s founding, the company filed for its first 20 utility patents in the USA. In 2003, Smartmatic developed its first voting machine and launched its first platform, NEA, enabling hyper-secure connection between devices. NEA formed the basis of Smartmatic’s future election platform. In 2004, Smartmatic moved their headquarters to Amsterdam in the Netherlands and in 2012, opened their newer headquarters in London. At that point, they had 600 employees in 15 offices around the world. 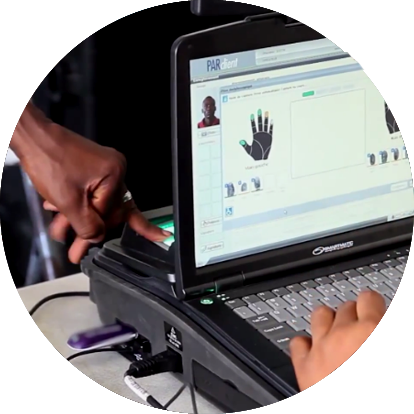 In 2010, Smartmatic provided the technology and services for what was then the world’s largest automated election, which included 50 million voters using 92,000 optical scanners in the Philippines. 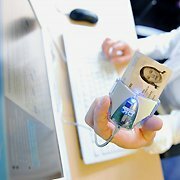 In 2014, Smartmatic partnered with the Estonian R&D lab Cybernetica and announced their Centre of Excellence for Internet Voting. The center acts as a multidisciplinary center for the research and development of the best internet voting technology. In 2014, Smartmatic became part of SGO, a family of ventures which utilizes technology to serve the needs of citizens in areas such as government efficiency, pollution control, privacy management, urban living, etc. Smartmatic is a private and independent company that serves governments from any country in the world. Smartmatic is dedicated to providing secure voting technology and election services to produce accurate, transparent results. Smartmatic also wants to make a positive impact on society by creating healthier, safer, and better connected smart cities run by transparent governments that service the people. Smartmatic has a unique group of professionals from all over the world that make up its board of directors and management team. For more information on each individual, click here. 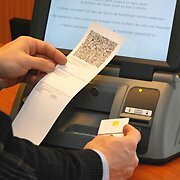 Smartmatic Facts is a resource for addressing the most common questions and misinformation regarding the electronic voting company. Q: What is the International Elections Advisory Council? FACT: In 2015, Smartmatic established the International Elections Advisory Council, a body within their corporation that is meant to guide the employees in the complex landscape of the industry. Richard Soudriette is...Read More. FACT: The board of directors is made up of a diverse team from all over the world. The board includes Chairman Lord Mark Malloch-Brown, David Giampaolo, and Sir Nigel Knowles. ...Read More. Q: How does the company structure operate? FACT: Smartmatic has an international ownership structure comparable to many multi-national companies. This structure was designed so that Smartmatic can operate efficiently and effectively in different markets and regions around the world. Robert Cook is the Smartmatic President for ...Read More. Q: Is it true that Smartmatic machines are low-grade and are developed in Venezuela? FACT: False. 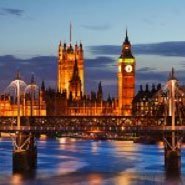 Smartmatic is a multi-national firm founded in the USA, with its headquarters in London. The company’s founders are from Venezuela and nationals from over 30 countries working from different offices around the world. Smartmatic invests heavily in...Read More. Q: Besides software and hardware, what is the scope of Smartmatic's services? FACT: Smartmatic provides both software, hardware, and services to its clients. Smartmatic has the industry experience and knowledge to offer services such as consulting, training, planning, managing, monitoring and implementation – covering all stages of the electoral process. Smartmatic provides...Read More. Q: Does Smartmatic manufacture election technology? FACT: Yes. Smartmatic has designed, manufactured and sold more electronic voting machines and election optical scanners than...Read More. Q: Is it true that automated elections cannot be audited? FACT: False. One of the strengths of Smartmatic’s electronic voting systems is that, it is fully auditable. Unlike a manual ‘system’, a well-designed automated election, by contrast, produces...Read More. Q: Can someone pre-program Smartmatic machines before the day of elections and rig the electronic results? FACT: No. Following the 2013 midterm elections in the Philippines, some groups claimed that results were predetermined following a fixed-share voting pattern: 60% for one party, 30% for another and 10% split between remaining candidates. The claim was investigated and ...Read More. Q: Can hackers easily penetrate Smartmatic machines and alter the electronic results? FACT: No. Smartmatic utilizes a range of mechanisms to safeguard security and privacy of votes, from: security fragmentation, security layering, device identity assurance, multi-key combination and opposing-party auditing. This is very similar to... Read More.